Hello! Creating cards with all die cuts is one of my favorite techniques. I challenged myself to create some balloon-themed baby cards with all Lawn Fawn die cuts. As awesome as these are for baby cards, this same design could be used with different greeting borders and colors for so many different occasions! The background for each card was die cut from vellum using the Stitched Cloud Portrait Die. A frame was die cut from white glitter cardstock using a Stitched Rectangle Frame Die. The frame die was layered and adhered over the vellum background using 1/8" Scor Tape. The Party Balloons were die cut from a combination of Lawn Fawn and Simon Says Stamp Cardstocks, pinks for the baby girl card and blues for the baby boy card. The It's A Boy Border and It's A Girl Border were die cut from white glitter cardstock and used for one of the balloon "strings" on each card. The balloons were trimmed and adhered to fit within the frame border. Thin gold metallic thread was tied around the larger balloons on each card and secured with a dab of liquid glue to keep the bow in place. Each card was finished with Honey Bee Stamps Candy Hearts and Pretty Pink Posh Iridescent Star Confetti. Greetings were stamped on the inside of each card from the Little Bundle Stamp Set using Ballet Slippers and Mermaid inks. Hexagon Backgrounds are one of my favorite things, especially with the Honey Bee Stamps Top Plate, Middle Plate, and Base Plate. The Gemini Die Cutting Machine makes die cutting the layers a breeze! I can't recommend it enough for detailed dies like these! The backgrounds were die cut from Lawn Fawn Ballet Slippers, Guava, and Raspberry Cardstock using the Honey Bee Stamps Top Plate, Middle Plate, and Base Plate. The dies were stacked and adhered one on top of another and backed with Simon Says Stamp Cream Off Cardstock. Greetings were die cut from Mint Cardstock using the Hooray Dies, Birthday Cheer Dies, and Foxy Sentiments Dies. I die cut the greetings twice and adhered them one on top of another for a bit more of a substantial look and feel. The shadow for each was die cut from vellum. The mint greetings were adhered on the vellum shadows as shown and adhered to each background as shown. Additional greetings from the Foxy Sentiments Stamp Set were stamped on vellum using embossing ink, heat embossed with white embossing powder, and trimmed into strips before being adhered to the hexagon backgrounds. Honey Bee Be Mine Candy Hearts were adhered to the end of each strip to hide adhesive. The foxes and hearts from the Feelin' Foxy Stamp Set were stamped on smooth white cardstock using Jet Black Ink, colored in with Copic Markers, and die cut with the coordinating dies before being adhered to each card as shown. The hearts and die cut greeting on each card were finished with a layer of White Blizzard Nuvo Crystal Drops for a sparkly finish! Hello! Nichol here today with these three baby gift tote bags featuring the new Tote Bag 3D dies and Monkey Favor Bag Add On dies! These Favor Bags are the perfect size for adding small gifts and gift cards too and are super adorable dressed up with the Monkey Favor Bag Add Ons. I made these into new baby gift bags but by switching up the sentiment you can easily switch that out for birthdays or other occasions. 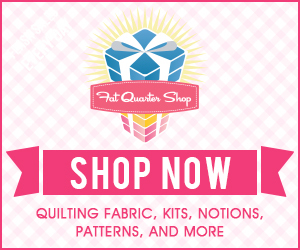 The Tote Bags were die cut from Lawn Fawn Gotta Have Gingham plaid patterned paper. I used the 12x12 papers from the collection as the tote bag requires a bigger piece of paper than 6x6. Each bag consists of two die cut panels. I like to keep the bag flat until I've added everything to the bag as it's easier to adhere elements before it's assembled. The tag dies included in the Tote Bag 3D collection were die cut from coordinating cardstock colors in Lawn Fawn Sticky Note and Moonstone and Simon Says Stamp Lavender to match the bags. The Monkey Favor Bag Add On was die cut from Lawn Fawn Vanilla Malt and Paper Bag cardstock with a bit of Chocolate Bar for the noses and Black Licorice for the eyes. Gathered Twigs Distress Ink was used to add depth and dimension to the brown parts of the monkey, Antique Linen to the face and some Spun Sugar Distress Ink for the monkey's cheeks. A sponge dauber makes adding the pink for the cheeks more precise. Bows from the Snow Deer Favor Bag Add On were die cut from coordinating cardstock color to match the bags. The girls get hair bows and the boy gets a bow tie! The monkeys were adhered to the front panel of each Tote Bag and embellished with Glossy Accents on the eyes and noses and white pen detail throughout. Each Tote Bag was assembled once the Glossy Accents was dry. The tags were stamped with sentiments from Just Hatched using Versamark Ink and heat embossed with white embossing powder. Honey Bee Stamps Be Mine Candy Hearts accents finish each tag and the center of the hair bows and bow tie. Ribbon was tied to the top of each bag and each tag was attached with thin string to finish the design. Welcome friends! Today I am sharing a colorful card featuring a layered hexagon die cut background. The Hexagon Top, Middle, and Base Plates are amazing for creating interesting layered backgrounds. Whether you go tone-on-tone or go colorful like I did today, the dimension and interest these dies add to a project is incredible! A simple layered die cut greeting, sentiment strip, and floral images were the perfect accents for this bold background. The background was created by die cutting the Hexagon Base Plate from aqua cardstock, the Hexagon Middle Plate for teal cardstock, and the Hexagon Top Plate from dark blue cardstock. The frames were adhered one on top of another with liquid adhesive and backed with a contrasting green cardstock to really show off the incredible design and color. The background was adhered to a white side fold card base. The Large Thanks Dies were die cut from white and dark blue cardstock and adhered to the card as shown. Nuvo Crystal Glaze was applied over the die cut greeting to give it a shiny, raised finish. A sentiment from the Thanks and Giving Stamp Set was stamped on green cardstock with Versamark Ink, heat embossed with white embossing powder, trimmed into a thin strip, and adhered below the die cut greeting. Floral and leaf images from the Zen Floral Stamp Set were stamped on smooth white cardstock with black ink, colored in with Copic Markers, and die cut with the coordinating Zen Floral Dies before being adhered to either side of the Thanks greeting. A white gelly roll pen was used to add some subtle accents to the flowers and finish the design. Hello friends! The Birthday Monkeys from Mama Elephant are absolutely adorable and so much fun! As much as I love these cuties, I think my favorite part if the Swinging Borders banner customized with the Lots of Letters Alpha stamps that ties the whole design together! I inked the middle of a piece of Bristol Smooth Cardstock with Squeezed Lemonade Distress Ink and stamped the banner from Swinging Borders and a sentiment from Birthday Wishes directly on the background with Versafine Onyx Black Ink. The Lots of Letters alpha stamps were used to spell out "happy birthday" on the banner. The banner was colored in with Zig Clean Color Real Brush Markers directly over the inked background. I kept it "rainbow color" with a more pastel color theme. The monkeys and accessories from Birthday Monkeys were stamped on Bristol Smooth Cardstock using Versafinx Onyx Black Ink, colored in with Zig Clean Color Real Brush Markers, die cut with the coordinating Birthday Monkeys dies, and adhered with foam adhesive under the monkeys. Confetti from Birthday Monkeys was stamped directly on the background and colored in to add to the festive feeling of the card! Happy weekend crafty friends! 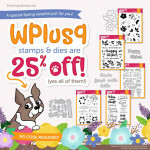 I wanted to pop in here today to share that Simon Says Stamp has DEEPLY discounted some of my favorite products this weekend for Steals & Deals! 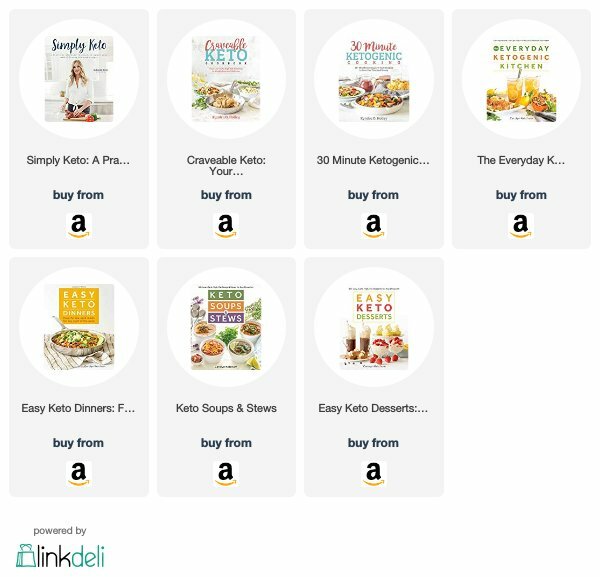 Click HERE to shop the entire list and check out the images and links below for projects I've created with some of my favorites of the discounted products! Happy Shopping! Click HERE to view the original blog post and to watch the video. The Simon Says Stamp May 2018 Card Kit, Kind Heart, is now available! You can pick up the May 2018 card kit HERE for just $34.99 + shipping. Or if you’d like to receive this kit and future kits for only $29.99 + shipping per month, you can SUBSCRIBE HERE. When you subscribe you will receive kits delivered to your door automatically. I absolutely love the Everything Together Stamp Set from the May Card Kit! The greetings, the flowers...it's one of my all time fav's! I created an almost one layer card with the flowers, leaves and large greetings from the stamp set and added a thin stamped sentiment strip using phrases from the Messages For Everyday Stamp Set. 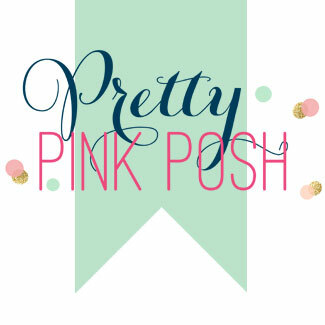 This simple design packs a big punch and would look great with whatever color combination speaks to you! While I had all my supplies out I went ahead and stamped two identical panels, just switching up the greetings used on each. I could have easily stamped as many backgrounds as I needed or created a whole set of cards to give as a gift. I trimmed smooth white cardstock to 4" x 5 1/4" and stamped the flowers, leaves, and dots from the Everything Together Stamp Set fusing the Melon and Spring Rain cubes from the May Card Kit and adding in Watermelon and Duckling inks from my stash to round out the design. The MISTI makes stamping these in the same place on each background, or stamping the image multiple times so easy and precise every time! Once the backgrounds were finished, I stamped two of the large greetings from the Everything Together Stamp Set in the middle of each design using Versafine Onyx Black Ink. A simple sentiment phrase from the Messages For Everyday Stamp Set was stamped on Black Licorice Cardstock using Versamark Ink, heat embossed with white embossing powder, and adhered to the cards as shown using foam adhesive. The panels were adhered to white top fold card bases to complete the designs. 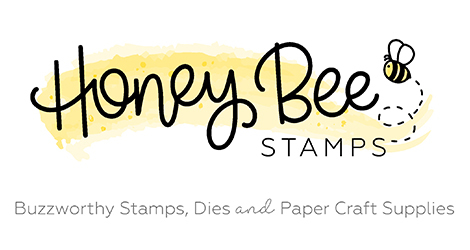 Simon Says Stamp has generously offered me the opportunity to give a away May 2018 Simon Says Stamp Card Kit to one lucky recipient! Please leave a comment on this blog post in the "Comments" section below today's post by Saturday, April 30th, 2017, 11:59 p.m. CST for a chance to win this incredible kit! The winner of the May Card Kit is: Miriam Prantner! Congratulations, I've emailed you!! !